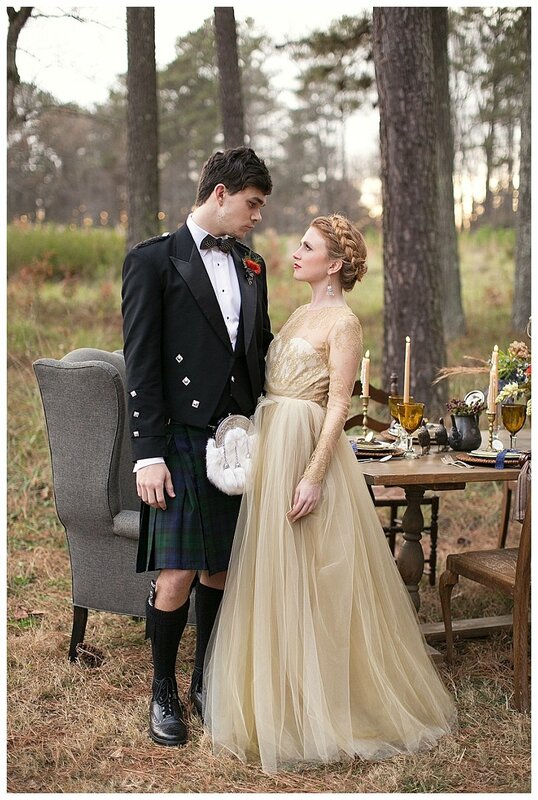 An inspired editorial shoot at incomparable Vinewood Plantation was published by Weddings Unveiled Magazine Fall 2015 Issue. The day started just as dawn was rising and the mist was still laying thick on the ground.This was in reference to the theme of a Scottish Highland moor grouse shoot.The male models gamely set forth in full hunting attire with guns and dogs not to mention a horse or two. Then they came thankfully back to the lovely Vinewood Plantation house where they changed into appropriate dress clothing. Some in kilts complete with sporran! and knee high socks,so attractive in a man with good legs! They were then photographed relaxing within Vinewood or outside in a wing back chair partaking of Tea from fine china tea cups, of course !! 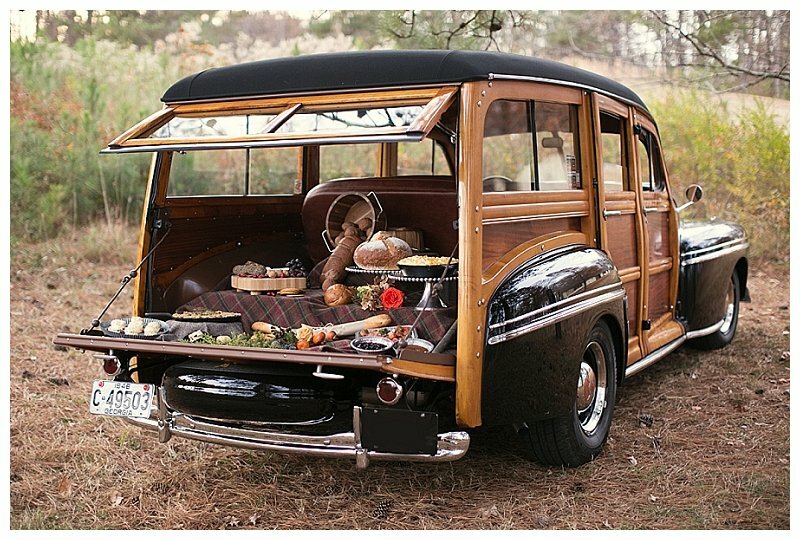 Vintage vehicles were brought in referencing the shoots in Scotland featured on Downton Abbey. The ladies were brought out in their finery including vintage props. 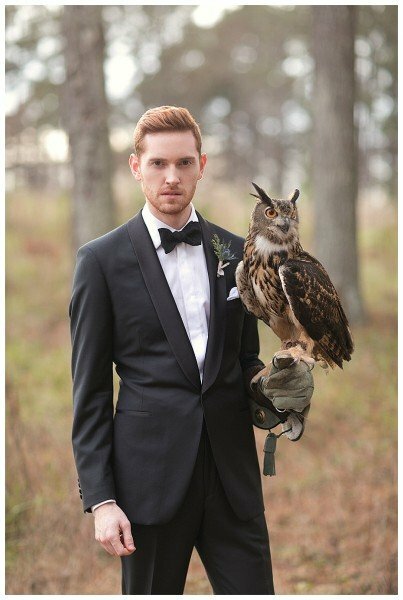 Whilst these scenes were created the Grand Table was being set up on another part of the property.Oh yes and the Owls had arrived! 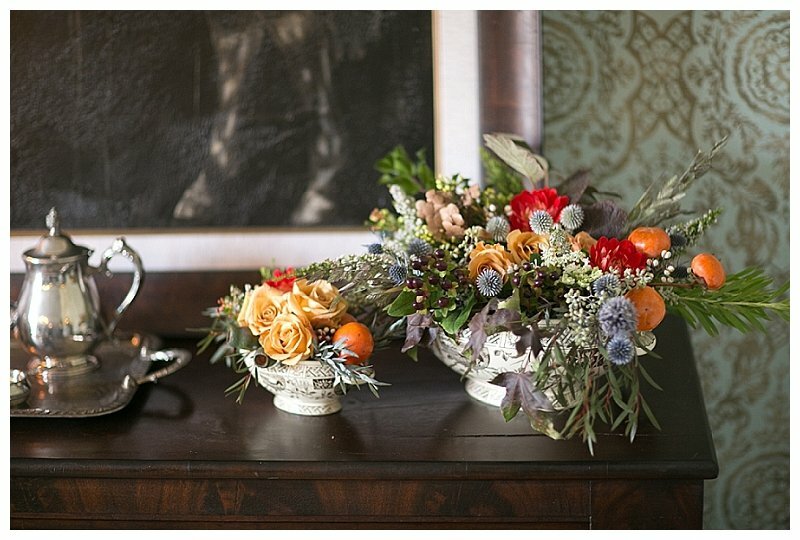 The table was layered with a riot of beautiful blooms from Gertie Maes in stunning containers nodding to the era. 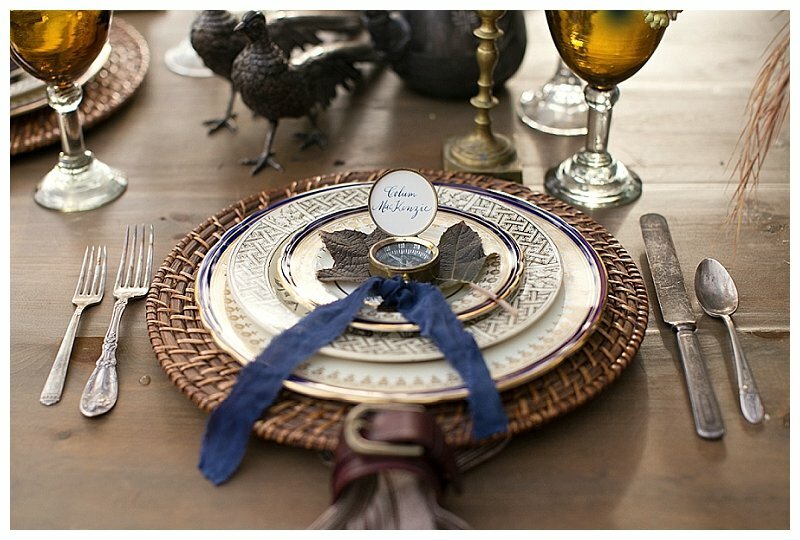 The table settings were modern mix! The charger was a raffia pieces then a layer or two of fine china and then a compass place card holder! Wow so creative!additional vintage props were used to create the full Scottish experience.The caterer then create a full picnic in the back of a vintage vehicle that was a joy to behold! 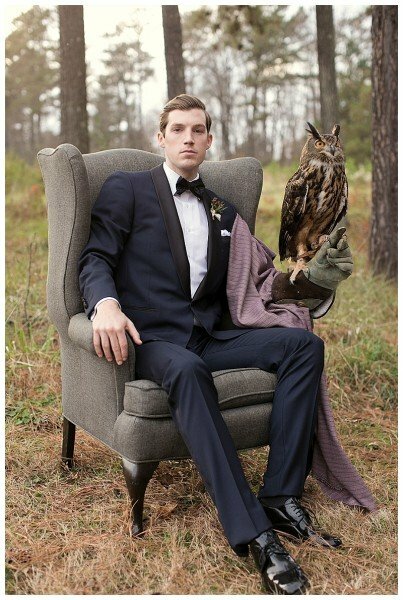 But next we played with Owls…oh it went so quiet on set as they were placed on the models arms with some trepidation! But all were professionals and the images were amazing,some of my favorites ever. Verde studio,silk and willow, melissa Welch,The Modern Gent, Atlanta Kilts,Beauty Asylum, winged ambassador,George Fernhill stateside,Munn Brothers films.